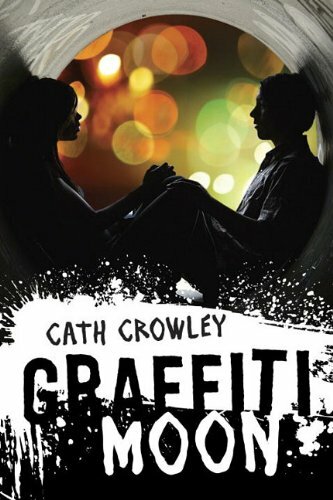 There are times when you pick up a book and you just can't put it down and Graffiti Moon my friends is one of those books. I can't express in words how much I love this book. The story, the background and the characters are all amazing. There is nothing in this book that I didn't like. The story is about Lucy and Ed and that one amazing night where they discover secrets, confront the facts and share their inner most feelings. I must admit, I love art of any form and graffiti art is no exception. 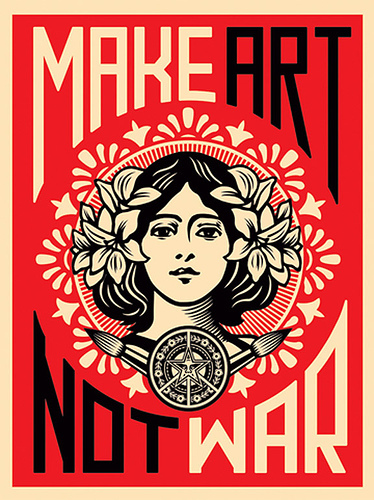 I love the works of Banksy and Shepard Fairey. And if you are like me and love graffiti. You should check out the movie Exit Through the Gift Shop. Now coming back to the book; the art, the romance, the characters and even the freaking dialogues were just amazing! This is my first book by Cath Crowely and I can't wait to read many more. The whole art aspect of the story really string a cord with me. Ed and Lucy are really amazing characters and their interactions are hilarious. The message of the book is very powerful and not at all preachy. I simply love every character in the book. Seriously! every character in the book was very well thought of. The couples! Ed and Lucy were cute and funny. Daisy and Dylan were just adorable. Leo and Jazz were very real with their insecurities and conflicts. The whole idea of shadow and poet is genius. The book is very funny with a hint of seriousness in it. The poems in between by poet were insightful and just plain awesome. The pace of the book was just right. I can go on and on about this book but I don't wanna seem like a fan girl. So all i can say: people who like contemporary novels, this is for you. And for people who don't like contemporary novels, this is the one you should start with. Overall: 5/5 and a double thumbs up!